Gavin was still in his head, remembering that night. As a teenager, he remembered feeling so nervous that his parents would say no, that he had to stay with them. It was clear Murphy and Renee weren’t suited to being parents, and ultimately they didn’t put up much of a fight. That night, Gavin left his home and moved in with his grandparents. He lived with them until he graduated high school. 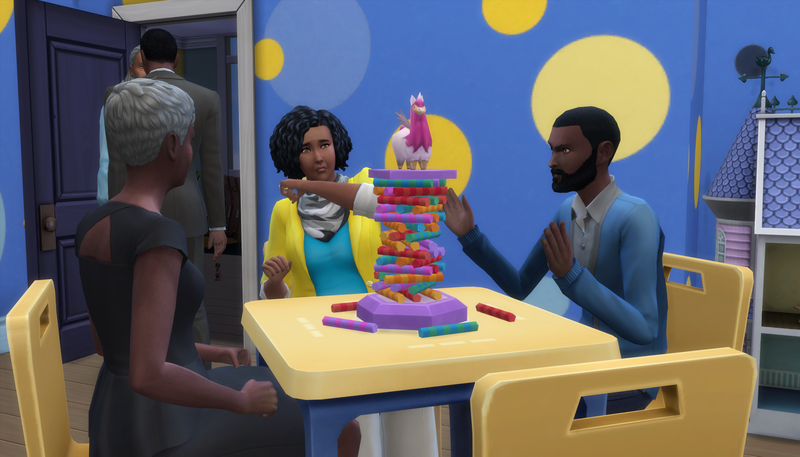 Then the three of them continued to live together and moved to San Myshuno. Gavin never looked back, and was nothing but grateful to his grandparents for changing his environment from cold and lonely to warm and loving. He wanted that for his children, and he had many doubts that his mother and uncle had suddenly learned to like children. Almost as if on cue with the direction of Gavin’s thoughts came a very familiar grunt of displeasure. Murphy was displeased by something Wren said or did. Because Gavin wasn’t paying close attention, he didn’t know for sure. But based on his own childhood experiences, he was fairly certain all she’d done is be a normal toddler. 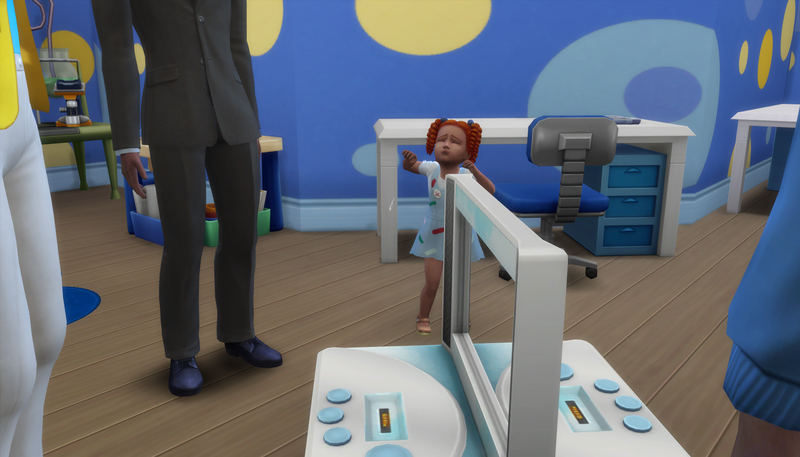 Gavin leaned down to play with his daughter, and hopefully to distract her from Murphy’s anger. Gavin was sad to be proven right so quickly. He didn’t want his children to know anything other than unconditional love, but he wasn’t sure how to fix the moment. 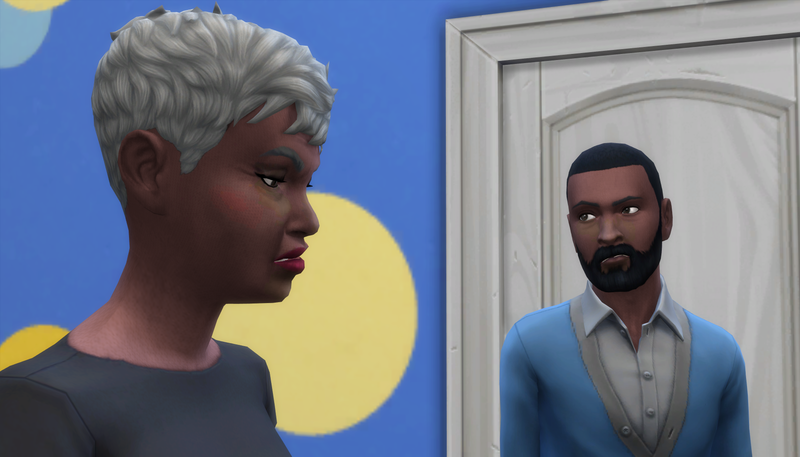 Kenya was still trying to play nice with her son and daughter-in-law. The fourth time Wren asked, “why,” Gavin thought Murphy was going to blow a gasket. At least his mother had the good sense to look embarrassed by her angry-at-a-toddler-for-no-reason husband. Renee’s and Murphy’s foul moods were finally affecting Wren, and she started crying. Murphy started to yell at her to be quiet, but before he could get the words out, Gavin swooped in to pick her up. He started playing with her to distract her. Kenya took a deep breath to calm herself. It didn’t work. “We’re your family too,” said Murphy. 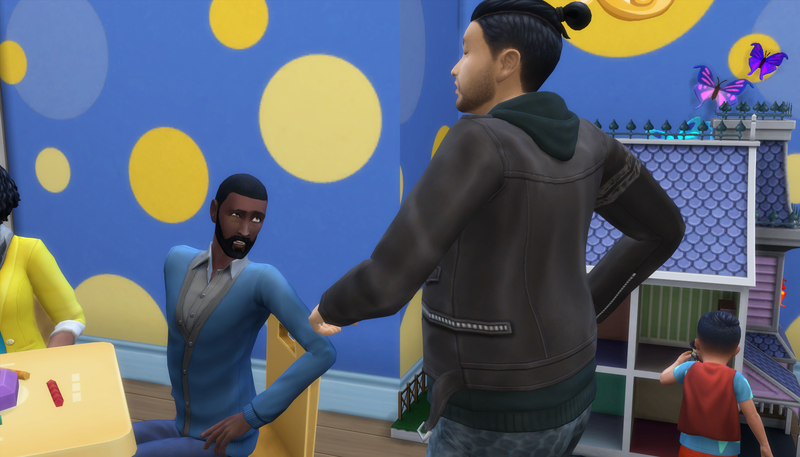 Gavin saw the door open and knew Cristian was joining them, likely having his attention drawn because of his wife’s raised voice. Gavin rushed over to fill him in on why she was yelling, and to ask him to stay because that meant Murphy was more likely to behave. Behind him, his mother was literally leaning away from the continuing argument between Murphy and Kenya. Gavin was very worried Kenya’s small explosion was just the beginning. Before Gavin could finish his thought, Murphy was speaking to Akira. A better word for what he was doing was taunting. He made a joke about Akira’s hair, and how it was a shame “all three grandkids” didn’t get it. Gavin was worried about his kids witnessing such ugliness, but mostly they seemed confused by the odd behavior. “This is your best? I think you all had better go,” said Cristian. “Maybe we can try this again when the kids aren’t kids anymore. This family can’t become something else just to make you happy, you never did understand that.” The disappointment in Cristian’s voice was palpable. “We really did try,” said Renee softly. “Gavin, I’m not going to stop trying to call you.” She left behind Murphy, and they both left the apartment. 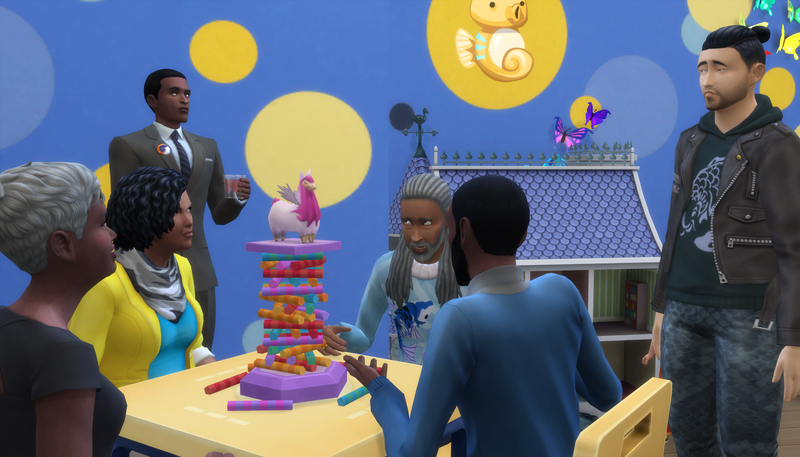 By the time Kenya returned to the toddlers’ room, the kids were all smiles, though Cristian, Gavin, and Akira still wore somber faces. 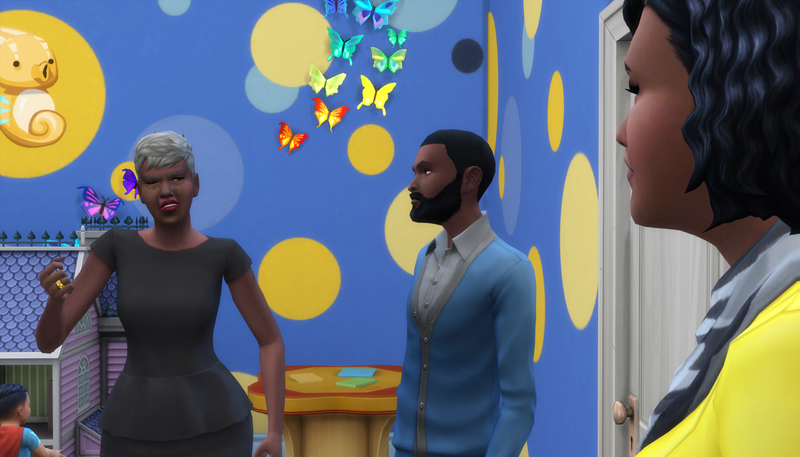 “Gavin, I’m sorry for suggesting you invite them in,” said Kenya. Talk about giving opposite actions..”We want to reconnect with the family, but the family is annoying, and it is not out fault if they make us angry, and make ustwant to scream to the family…But, hey, we are trying!”I wonder how did two lovely people such as Kenya and Chirstian raised Murphy…Also wonder if they are actually trying, but in their own, mean, way…Because, these coments about Akira, Murphy…I could live without them. Murphy’s dead brother George was the one who was more like Kenya and Cristian. Think of Cain and Abel from the bible (sorry if that reference doesn’t work for you). These brothers were so different. Murphy always felt like the outsider to his brother and parents, and even after his brother died, that outsider feeling never went away. He literally married his brother’s wife, adopted his brother’s son, and still felt like an outside in his family. 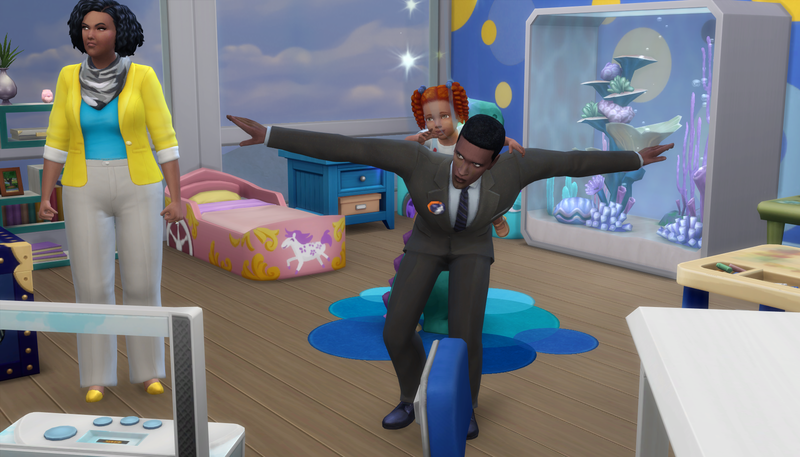 I actually would feel so much sympathy for him if he wasn’t yelling at the toddlers. “I said what I said,” said Kenya. This Murphy dude is on a roll! Whatever he had for lunch, they need to not have that again lol. “This is your best? I think you all had better go,” said Cristian. Really? That’s how this is going to go down? Awww, that was actually sweet. It seems like you enjoyed this chapter, and that makes me happy. This is actually the longest chapter I’ve written on this story in a long time, but I couldn’t short change the family interactions. I know a lot of men like Murphy, he was kind of designed after a couple of older men from the church I grew up in. 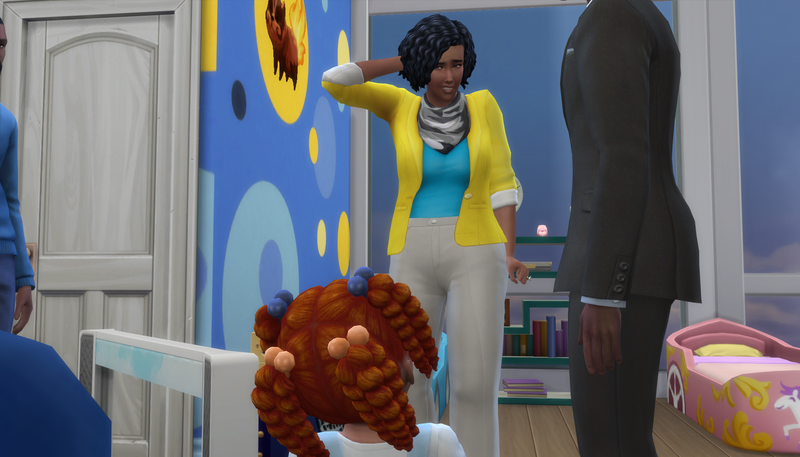 I actually feel the most for Kenya in this chapter because she’s feeling lots of layers of emotions regarding her son, her grandson, and her great-grandchildren. Luckily she had Cristian to step in before things exploded. 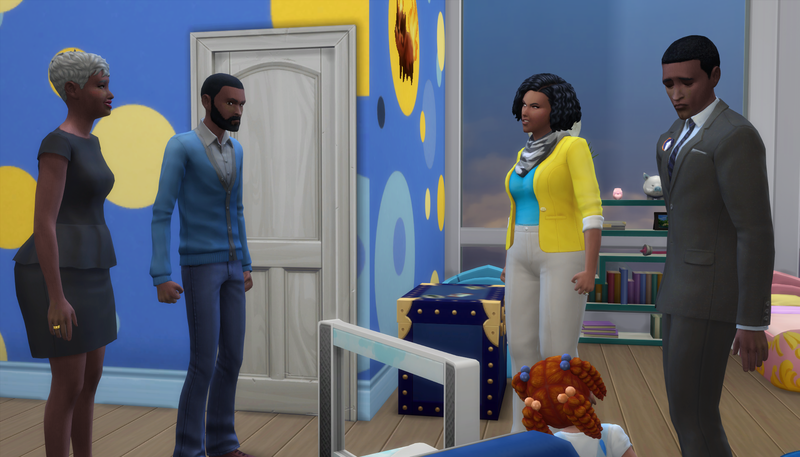 Cristian really did save the day…even if it ended with his son still not feeling welcome. You know my head canon has got so many layers there. 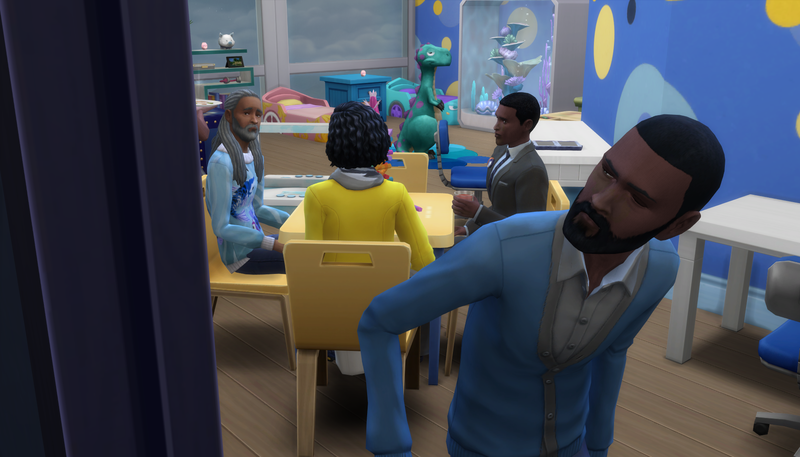 Murphy definitely feels like he never fit into his family, especially compared to his dead brother George, who was originally married to Renee and is the father is of Gavin. He wanted the visit to go well, but wasn’t at all surprised that it didn’t. He never quite understood how in a family of Live and Let Live types there wasn’t room for him. Not enough self-reflection, I suppose. Very interesting. I like layered characters…even if they get on my nerves. I hear you. Murphy definitely gets on my nerves. When he frowned and turned towards Wren, maaaaaan. He didn’t even say anything to her, and she burst into tears. 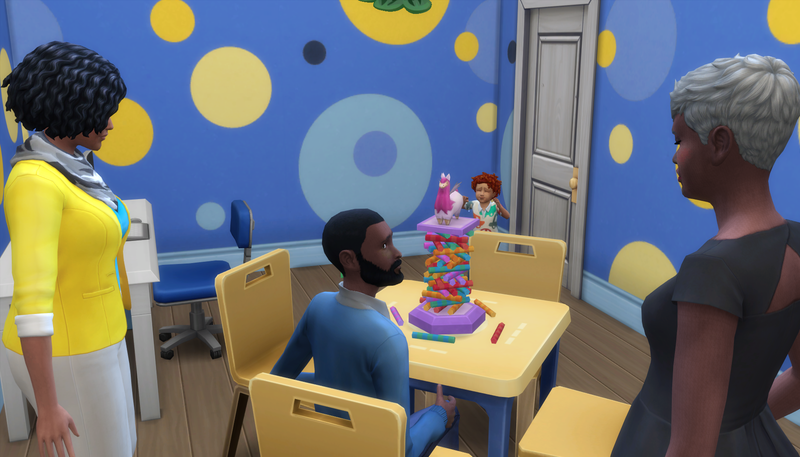 I had to pause my game and reassess what I was about to do to those toddlers. But luckily Kenya stepped in. And then Gavin stepped in to distract the little girl. 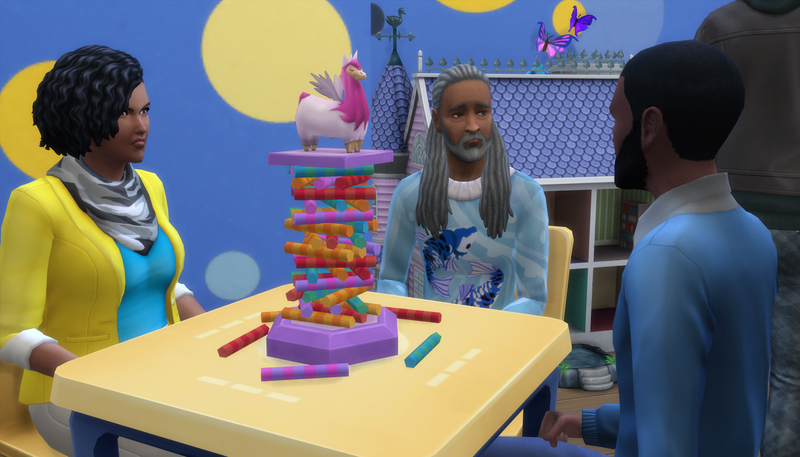 I think this family may be one of my favorites simply because of how they interact with each other autonomously. I literally can just sit back and watch them. Oh yeah, they were not here for Renee’s and Murphy’s foolishness. I’m glad they didn’t forget they’re parents as well as parents. They made it clear they’re welcome back as soon as they can be a real part of the family. This was the kind of non drama in this drama filled story i was hoping for 😜. So glad Kenya and christian were there to step in and do what needed to be done. And managed to keep a somewhat cool head in the process. 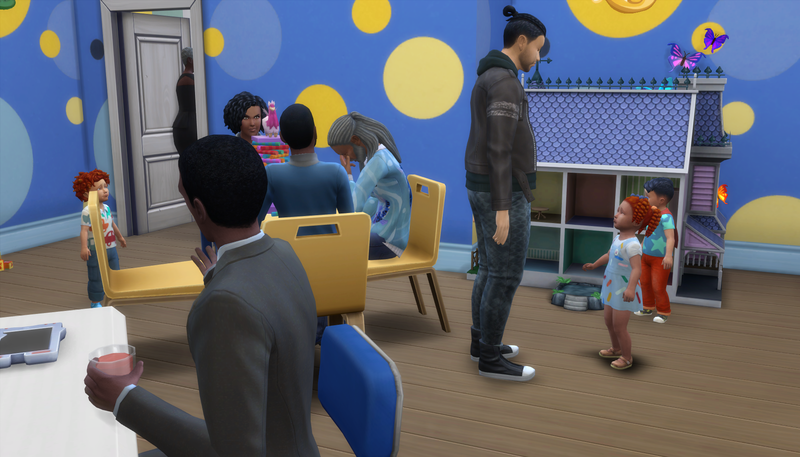 Cristian and Kenya love children and they love their family. I think their hearts are broken by Renee being the choice of wife for both of their sons. 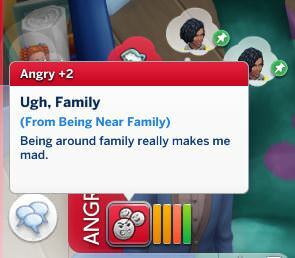 And they really are upset because neither Murphy nor Renee are interested in being a real part of the family. 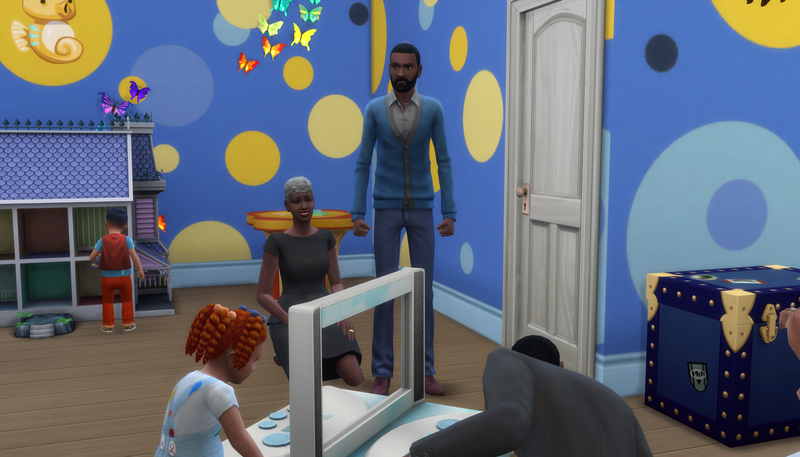 You can see in how Cristian reacts to Kenya’s antics that this family tries to live and let live. Anyone who can’t roll with that typically doesn’t do well with them. I am glad they kept cool heads and handled the situation as well as it could be. I feel bad for Gavin and Akira though. But they will be fine. They have three kids to occupy all of their time. 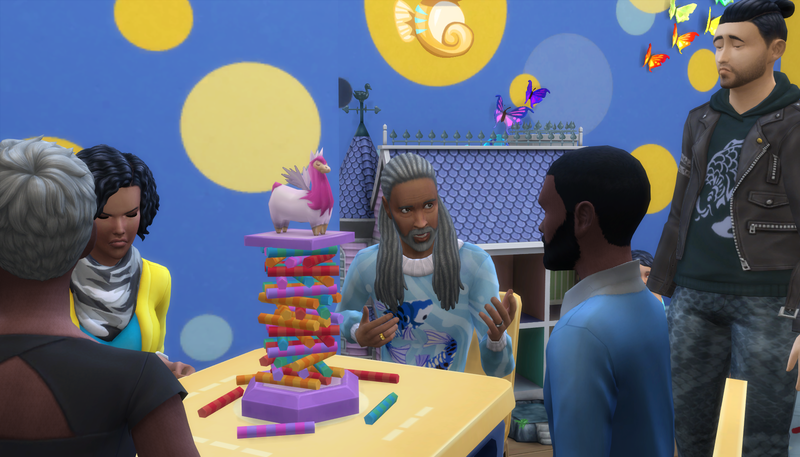 Gavin’s parents aren’t monsters, they are just two Sims who really don’t like kids and who have made a lot of life choices that make it impossible to have maintained a relationship with their family members. They feel, rightly so, like it’s the two of them against the world. They feel misunderstood, like they are the ones who always have to make concessions for everyone else. But as far as Gavin and Akira are concerned, they tried, and now they can move on. They don’t have to feel badly that their kids won’t have a great relationship with their grandparents. For the purposes of this story, Akira’s parents are older and not up for flying in from Japan. Wow. You are good at seeing both sides! I sort of gathered they just couldn’t deal with kids. Maybe as they get older they can try again. Maybe. Boundaries are the best, especially for family ! Just because you’re related , doesn’t mean you get a free pass to treat others poorly , even when they’re annoying ! I’m glad Christian and Kenya are so righteous ! I’m glad Cristian showed up when he did. 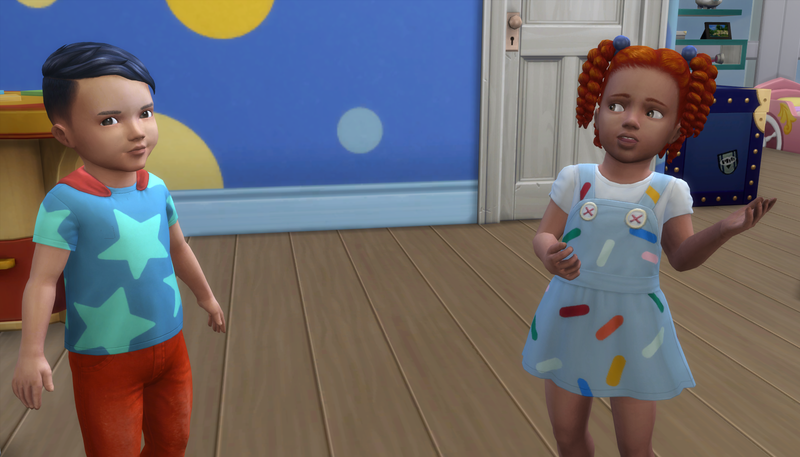 Kenya and Cristian are very loving, but they are also no-nonsense. They don’t care if you’re 3 or 53, as we’ll see in the next chapter, lol. However, had Cristian not showed up when he did, things might’ve taken a worse turn. 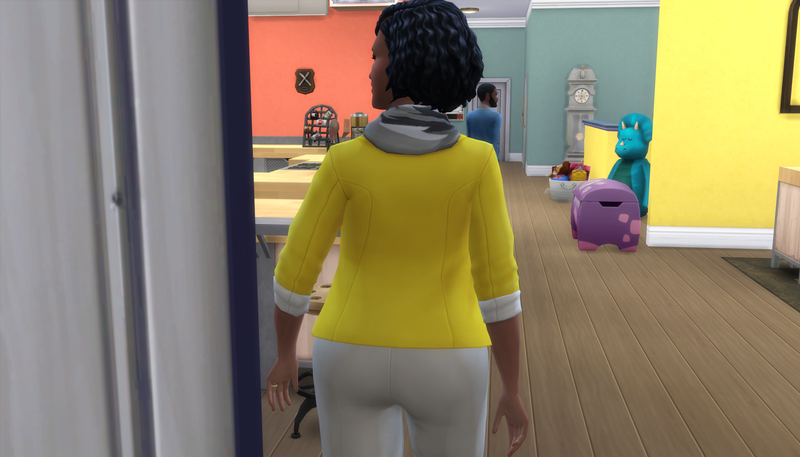 Kenya was thinking about having to protect Gavin from Renee’s and Murphy’s apathy all those years ago, and she was geared up and ready to protect the next generation. One thing I didn’t show and just kind of implied is that Kenya and Renee keep in touch occasionally. That’s how Renee knew Gavin was having a baby. And Kenya is the one that even encouraged Gavin to give his parents a shot at doing better, so she felt responsible for fixing it. She would’ve overcorrected and likely made things worse had Cristian not took over.